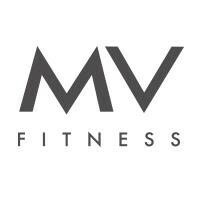 Start taking classes at MV Fitness and other studios! Join us for a TRX-pedition! System used by Navy Seals, suspension training is a revolutionary method of leveraged bodyweight exercises. Safe and effective for all fitness levels, build power, strength, flexibility, balance, mobility and prevent injuries at your own intensity level. There are no upcoming “TRX Suspension Training Camp” classes on this day. MV Fitness is a full service health club in the heart of Mount Vernon, accessible via bus, Light Rail, and FREE Charm City Circulator which has a stop within 1/2 block of the facility on Charles & Eager. There is metered parking in front of the club, a parking garage and two surface lots within one block of the club. Also, two hour free parking in residential area. Really great! Was not at all what I expected, but it challenged me to work harder and I like that! Very good hands on instruction and the instructor was very nice and showed me the basics before class started. Nikki is the best! Super encouraging! Nikki was a great instructor. Very encouraging and friendly. Love the small class size and the personalized attention. Excellent strength workout. Great workout. Basically a personal training session! Great class working out every part of the body. Nikki is a great instructor!